Why do we need New Life? From the beginning, mankind has walked away from God and His ways. As a result, there are distortions to God’s original design. The earth and people are lost and undone without Him. We need a way back to God. Many people believe there are many ways to God and, to be honest, at one point in my life, I was one of them. Since there are many views and opinions on this subject and the seriousness of the matter, I am not comfortable trusting my opinion, as this is a matter that affects our eternal future. We must look to God’s Word for the answer. Mankind has been trying to lord over their own life from the beginning. We want to make our own rules and as a result, we have been making a mess. We do not have the wisdom to see the future and how our choices affect our life and the lives of others. It is pride that makes mankind think they know better than their Creator. 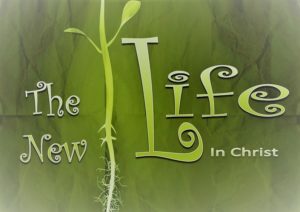 The bottom line is that life, REAL LIFE, comes from God and we need Him. We have been given a free will to follow and choose Him as our God. Adam rejected God and His Word and in doing so rejected the life-giving power that accompanies His Word. God created the Heaven and the Earth with His Word. He spoke them into existence (Genesis Chapter 1). The Bible also tells us that His Word holds all things together. Since the fall of man, the nature of mankind has been tainted with sin and rebellion. This rebellion was against a good God who not only gave mankind His very best, but loved us so much that He was willing to make a way for us to return to Him. This is the reason we need New Life. 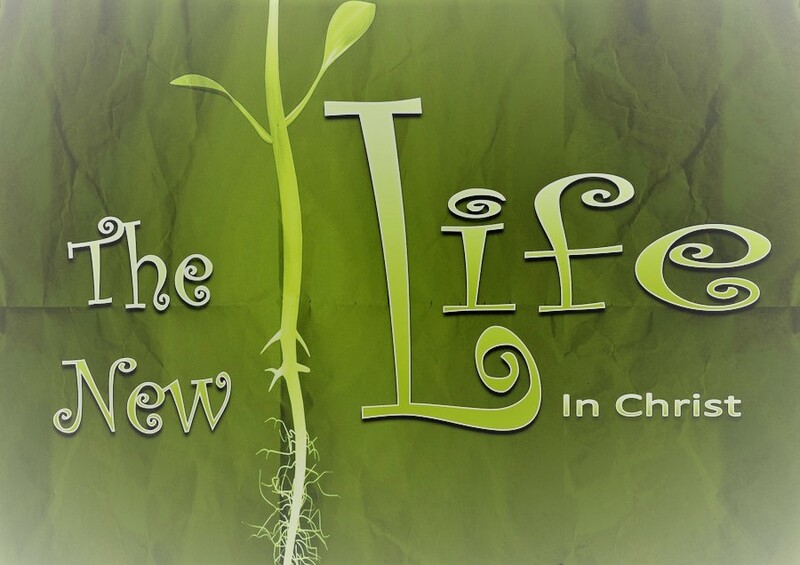 In John 3:3 and 6, Jesus is speaking to a religious leader of that day and tells him, that “except a man be born again, he cannot see the kingdom of God.” Man’s spirit needs a new birth to receive the NEW LIFE that comes from being connected to God, as well as exchange our sin nature for His nature. God did not leave Adam and Eve without instruction. He told Adam that he could eat of every tree in the garden except the one; God even told him what the consequences would be for this sin. As with Adam, God did not leave us without instruction. God wants us to know Him and His Will. God’s Will has been provided to us through His Spirit-inspired Word, the Bible. I know there are many who will object and say, “No way, that is just a book written by men,” but God wants us to know the validity of His Word. Please see Is the Bible God’s Word? So we can share with you why we are sure that the Bible has been provided by God Himself and is still relevant for today. 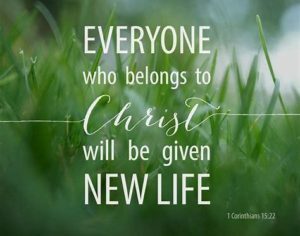 If we need to be born again to obtain this New Life, and Jesus is the way, then let us look at this a little bit deeper. The Bible shares with us that there is one Godhead comprised of the Father, Son, and Holy Spirit. All are co-equal and co-eternal (John 1:1; 14, 18; 15:26; 16:28; Matthew 28:19; 1 John 5:7). This can be hard to understand for our finite minds, but did you know that we are comprised of a body, soul (mind, will, and emotions), and spirit? The interesting thing is that Jesus is the Son of God but He is also God. In the book of John Chapter 1, it tells us that Jesus is the Word of God who became flesh and dwelt among us. Jesus was willing to come and live a sinless life so He could qualify to pay the price for sinful man and redeem us back to God. 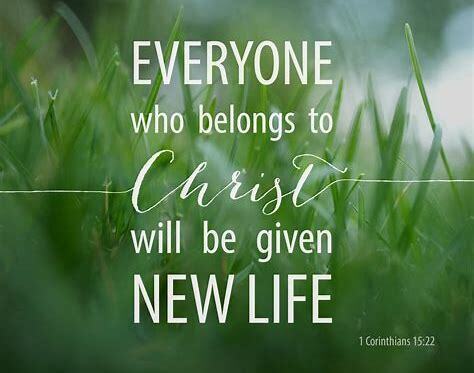 All who receive Jesus as their Lord and Savior receive the payment He paid on their behalf and receive the New Life that comes only through Him. When you simplify it, what happened is that man rejected God’s Word and was therefore separated from Him. The only way back to God is to receive His Word, Jesus Christ. Second, believing is not necessarily receiving. I can believe that they are hiring at the shop down the street and that they are a good company to work for, but until I sign on, I am not an employee. In John 1:12, “believe” refers to a believing that coincides with the action of receiving. Reality is, if you truly believe something, it will result in action. It is as simple as (1) believing with your heart that Jesus is the Son of God and that He is our only way to the Father and (2) confessing (praying with your own mouth) to receive Jesus as your Lord and Savior. Heavenly Father, I receive Your Son Jesus as my Lord and Savior. I believe He died for me and rose again and paid the price for my sin. Forgive me and help me to walk with you all the days of my life. Because I believe in my heart, and confess Jesus as my Lord, I belong to You now and for eternity. Thank you for saving me and making me Your child. In Jesus’ name I pray, Amen. If you have prayed that prayer, you are now His child and this is the start of your New Life with God. God’s Word tells us that He has come to make His home inside of you. This is the start of a very special relationship. To get to know God and how to receive all that He has available for you, walk with Him daily and let Him show you the WAY! 1) READ THE BIBLE. You can start in the New Testament. You are a spirit, you have a soul (your mind, will, and emotions), and you live in a body. God’s Word is spiritual food to make your new spirit man strong so you can overcome all that comes your way. 2) TALK TO GOD – PRAYER. It does not have to be formal or fancy; talk to God like He is your best friend, because He is and no one loves you more. 3) ATTEND CHURCH REGULARLY WHERE JESUS IS PREACHED. Church does not save you but fellowship with other believers is important, as it encourages us in our walk with God. A Pastor helps us learn what belongs to us as God’s child and how to apply His promises so we can live the victorious life God desires for us. 4) SHARE JESUS WITH SOMEONE ELSE. See Walk in New Life to learn more.